Meyer Tool’s Weld Supervisor Nears 30th Anniversary - Meyer Tool & Mfg. Terry Kean likes a good challenge. He likes the sense that he is going to “come to work and do something new,” within a structured environment. Having spent 29 years at Meyer Tool & Mfg. Inc., it is clear that Terry finds his work as the Weld Shop Supervisor both challenging and filled with variety. When Terry got out of the army, he headed back to school. While studying Business Management at Harper College, he met a welder he hoped would be able to help him with the welding needed for his long time hobby: rebuilding antique cars and motorcycles. Upon seeing what that entailed, the mechanically inclined side of Terry thought, “I should be able to do that myself,” so he began taking classes in welding. Something that Terry thought he would “like to know” grew into a long term career that continues to this day. 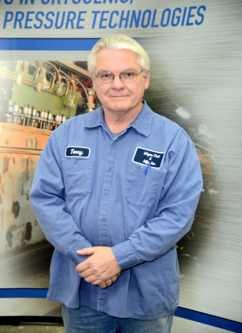 Terry began his career as a welder for General Electric Co. before joining Meyer Tool in 1983. Over time, he became proficient in the many types of welding we do here, gaining exposure to a wide variety of welding materials, positions, and processes. He is certified to Section IX of American Society of Manufacturing Engineers (ASME) Boiler and Pressure Vessel code and is one of Meyer Tool’s two Certified Welding Inspectors. Today, as Meyer Tool’s Weld Shop Supervisor, it is up to Terry to supervise the weld staff’s daily activities with the long term vision of developing individual welder expertise so that they, too, can maintain the certifications needed for the various weld work we do here. In Terry’s opinion, “welding is a key to Meyer Tool’s success”. He believes that Meyer Tool is known for our welding and emphasizes that success as a Meyer Tool welder is not based on equipment, but rather employee skill. “The machines are not always what makes a strong weldshop,” but rather the people who wield them. “Our welders have great attention to detail and strong fabrication knowledge.” Terry knows that only “certain people, those with the right work ethic who take pride in their work and enjoy tackling fabrication challenges, thrive” in a quality driven atmosphere like Meyer Tool’s. While Meyer Tool does do repeat work for OEM customers, many projects are unique. For unique projects, the manufacturing process cannot be improved and refined over time; instead, it must be done right the first time. More often than not, Meyer Tool’s weldshop may “only do it once.” This is where attention to detail and an understanding of the process is critical. When asked about his most interesting project, Terry laughed and said there have been many over the years, but the most memorable is the work he did for the CERN Distribution Boxes. He was quick to note that many aspects of the welding required the staff to develop and qualify for new welding procedures. “The Distribution Boxes were complex, requiring special qualifications and certifications,” all of which Terry is now certified in. Additionally, the Distribution Boxes encompassed “every phase of welding that Meyer Tool does,” a rare occurrence in Terry’s experience. Unlike many of the projects that Terry oversees, the CERN Distribution Boxes were a two year long endeavor, not just a “six month thing.” Despite the project “lasting a long time,” Terry enjoyed the challenge and feeling of accomplishment it provided. He believes that the CERN project represents what is great about the Meyer Tool work environment; in fact, he states that it is because of the “challenges” and “variety” of the work he does at Meyer Tool that he has enjoyed his 29 years here. ​Terry still works on his antique cars and motorcycles. A skill “he’d like to have” for his hobbies has turned into a lifelong passion and an immense asset to the Meyer Tool team. Attention to detail is an imperative skill to have in an environment that emphasizes the lowest total cost of ownership. 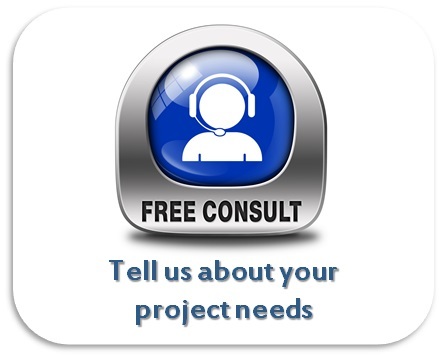 Lowest total cost of ownership demands that a job be done correctly, the first time. There is no room for error. It is much the same with Terry’s hobby, while he says he “does it for himself,” his projects demand a high degree of attention to detail and the ability to follow a set procedure for a successful, high quality end product.